An update to Vol. 3, pp. 973–985. 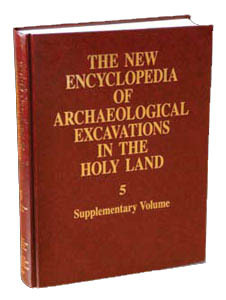 Supplementary excavations were conducted by E. Netzer and G. Stiebel of the Hebrew University of Jerusalem upon the summit of Masada over several seasons spanning 1995–2000, as part of a development project undertaken by the Israel Ministry of Tourism and the Nature and Parks Authority. It followed a short season conducted by Netzer in 1989. Main discoveries in the latest excavations at Masada are floors and assemblages datable to the Herodian period. The rich epigraphic finds include bilingual (Greek and Latin) inscriptions and ostraca from the time of the First Jewish Revolt. These may shed further light on the rebels’ communal life. New information has emerged concerning the entrances to the “acropolis” and on the area adjacent to the synagogue and cistern 1901.